Discover the fourth installment of 'Pixel Gun Apocalypse'! Face dozens of bloodthirsty zombies using a machete and five other types of weapons! 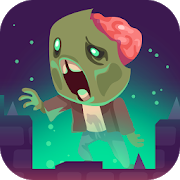 Hundreds of users will join at the same time, so fight to get those zombies! As you may have noticed, Fortnite is still trending! Become a survivor in this battle to the death in a pixel world, where you'll face enemies from all over the world. Run, hide, collect weapons and stay safe! Enjoy this groundbreaking 3D multiplayer shooter! Its graphics will remind you of Minecraft - it will provide you endless fun and a huge list of maps and weapons. Do as you please around the stages and obliterate your enemies. Good luck! In this multiplayer game, the size of the maps has been wrongly scaled, so everything is too big compared to the soldiers. Find a way to take move all these rookies around -- unlock new armored vehicles, shoot your enemies and survive! Which map is your favorite? Feel the emotions of a soldier in the middle of a special mission in this multiplayer game! Fight for your homeland -- enjoy the wonderful graphics as you try to survive and dodge enemy bullets. Use the health packs and extra ammo to support your team, choose your weapons and get ready for the bloodbath! Discover this wonderful pixel FPS with players from all over the world. As you make progress, you will climb the rankings and your character will get stronger. With each new stage you can unlock new weapons and characters -- put your skills to test getting rid of your rivals around these pixel maps! Discover this wild multiplayer based on Counter Strike. Put on your combat boots and get ready for battle -- you'll face a special team in several game modes. Choose to join your friends in Deathmatch, or go solo in Single player! In any case, defeat as many enemies as you can! There are dozens of maps to choose from. Enjoy this 3rd installment! Enter this 3D world where you'll face powerful rivals in stages full of hidden dangers. Look for the power-ups and survive! The world of Minecraft hides many traps and enemies. Move around stages full of dangers -- choose your weapon and get ready to fight. Put your courage to test against your pixel enemies!